Launch: Pier 44 Marina or Highway 44 launch Ramp. 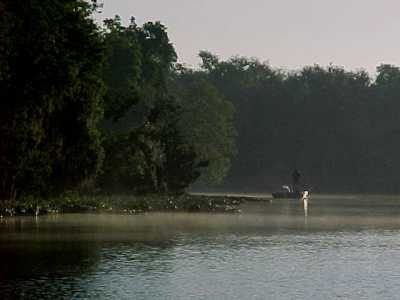 Nearby campsites: Blue Springs State Park is a gem. Comments: As pretty a river as there is - anywhere! -----New Englanders are a laconic breed, I've discovered. 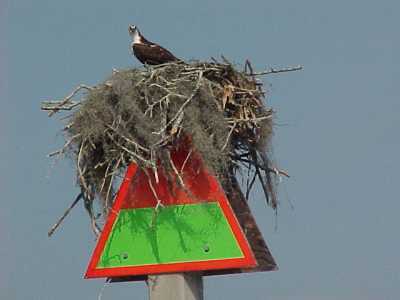 After completing our cruise of the St. John's River, El summed up the experience - "WOW!" 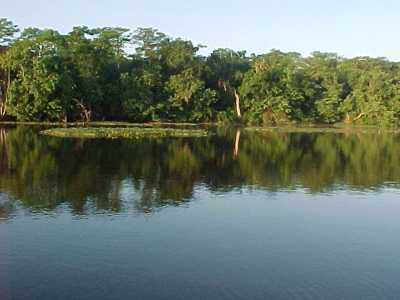 -----This is one of the most beautiful "tropical" rivers we have seen. It is a veritable treasure. The fishing is reputedly outstanding, by any standard. 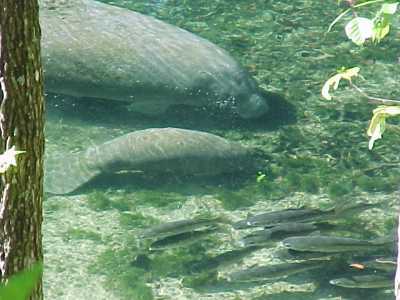 There are gorgeous creeks, coves, and backwaters for anchoring - replete with birds and manatees! (as well as alligators and snakes, oh my!) This is also big thunderstorm country. We had a few real thumpers, one replete with a tornado that touched down 15 miles away. The northern reach is wide and can be gnarly in a wind. Jacksonville has a nice waterfront. 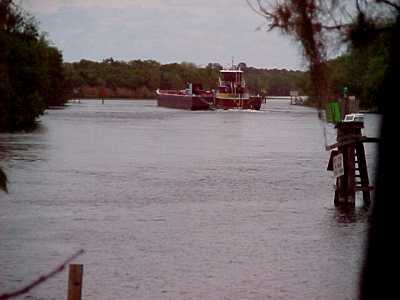 If you continue easterly down the northern river, you access the Intracoastal Waterway and the Atlantic. 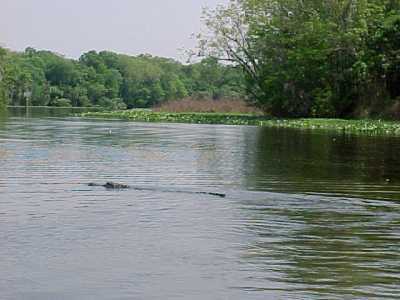 The southern stretch is generally narrow and twisting, connecting broad lakes. There are side trips up spring-fed rivers with anchorages adjacent to the orifice where thousands of gallons of warm, clear water rush to the surface - now that's a swimming hole! 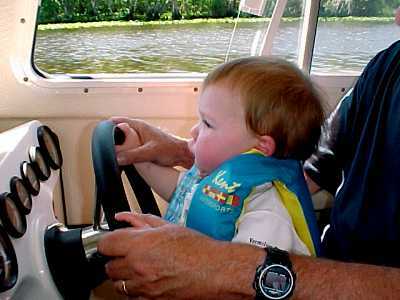 The Occasional Barge Underage Operator?